Politically, there’s an increasing rapprochement between East and West Germany. As a consequence, on January 31st 1971, limited telephone traffic is being resumed between both Berlin sectors after almost 19 years. Shortages in foods and consumer goods, which the state is partly liable for, force an increasing number of people to wait in line in front of trading markets and stores. Often, the demand for certain items cannot be satisfied at all. In October 1970, the supply gaps for foods and consumer goods worsen even more. As a result, the work force becomes erratic. Within one year, 85 industrial actions are being reported. At the Socialistic Unity Party’s headquarters the fear of a second June 17th spreads. 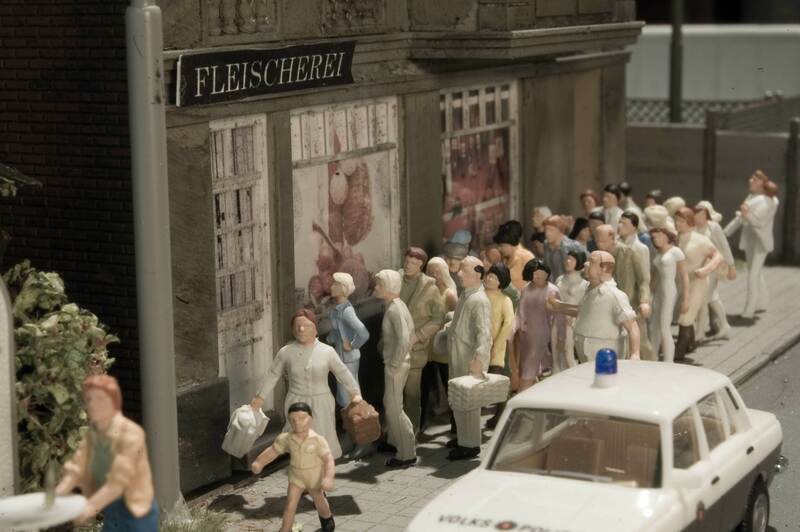 Especially in the 1980s, for most Berlin tourists a visit at The Wall is a mandatory part of the fringe events. 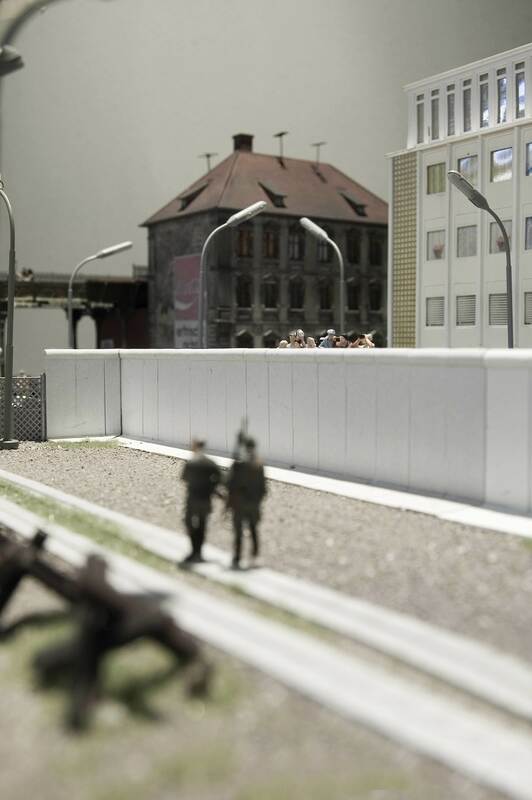 On platforms specifically built for tourists they are able to take a peek over The Wall into East Germany. In 1975, the third generation of the Berlin Wall gets replaced by a fourth one: The outer wall, called ‘Grenzmauer 75’, is built from 3.6 meter high concrete elements which are easy to raise, and prove to be more resistant to environmental influences and breaches of the border. 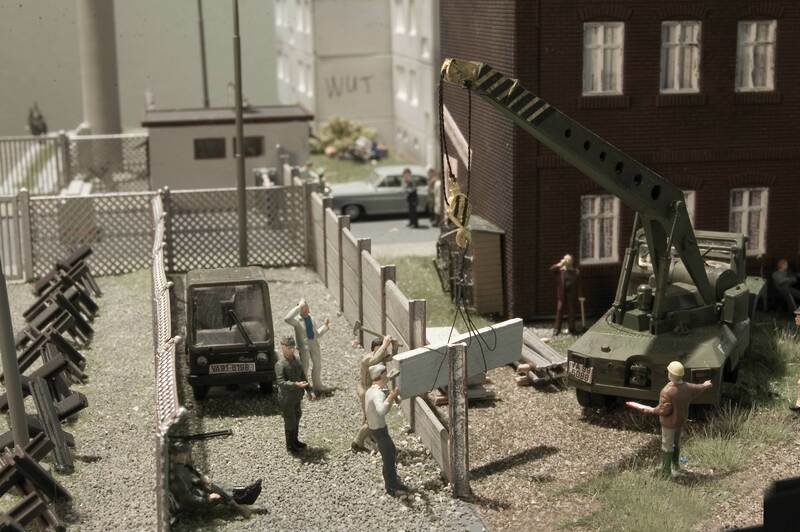 The West German squatter scene is active primarily in the 1970s and 80s. In the mid-1960s, the initiated area rehabilitation politics cause housing shortages in West Berlin. For financial reasons, complete street blocks must be renewed at once. For years, many apartments are left vacant in the course of evictions. Abandoned buildings are mainly occupied by young squatters demanding reasonable housing. In the beginning of the 80s, force eviction actions cause regular violent conflicts between squatters and the police.